The Stratospheric Polar Vortex normally forms a circle around the Arctic Ocean in Winter. You see the current pattern at Earth Nullschool with the settings for Air, 10 hPA, wind. Right now it's split and far from centered. 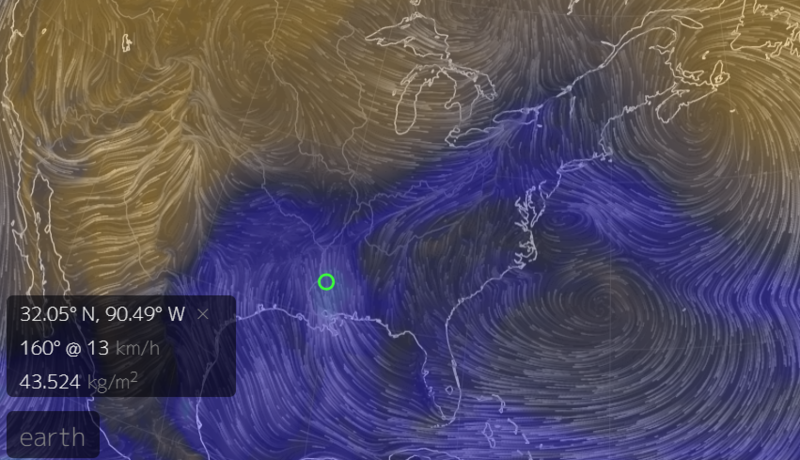 Normally there is one cyclonic vortex centered near the pole. Right now, there is a weak, warm anticyclone above the pole and there are two cold cyclonic vortices spinning over north America and Eurasia. There is intense compressional heating above the Labrador sea and central Eurasia caused by this planetary wave number 2 of unprecedented power. ...— warm over the Arctic and oceans — cold over the continents. ... warm water in the fall and winter in the seas on the Atlantic side of the Arctic, that used to be mostly ice covered, is destabilizing the polar vortex in late winter and changed fall and winter weather patterns across the northern hemisphere. ... cold air will be be displaced towards northern Eurasia for the next six weeks. Thus, northern and central Siberia, which are normally very cold this time of year will be even colder than normal. Western Europe may also be colder than normal because cold easterly flow off of the continent will be enhanced by strong Siberian high pressure. Most of the continental U.S. will likely be cooler than normal in March while Alaska will be likely be warmer than normal. I don't know anyone who talks about southern polar vortexes. Is there a a jet stream in the southern hemisphere? The little I 've heard is the is the sea off South America is one of - if not the most dangerous places for ships to pass. There's a consistent, very strong, circulation at 10Hpa over the South Pole in Winter there, which hardly changes. Not newsworthy, so nobody mentions it. The jet stream over Antarctica is usually fairly constrained and symmetric. Lately there's been excursions of loops over the continent from time to time. Today the jet stream (at 250 Hpa) is intruding over the continent in three areas, and looks more turbulent and wiggly than usual. Whenever a loop goes over land, it can bring warmer air along at lower altitudes. As far as I know that's true about ship passage. Here's the North now. The stratospheric polar vortex is doubled. One is centered on Greenland and the other seems to be near the Pacific coast of the border of Canada and the US. This displacement is quite abnormal. Here's a 3-D animation of the stratospheric Arctic Vortex splitting in two. See Robert Scribbler's blog for details. Over the past few days, Arctic temperature anomalies have exceeded 6 degrees Celsius above the 1981 to 2010 baseline. Now, as of mid February, a powerful Sudden Stratospheric Warming Event has again blown the Polar Vortex off kilter — weakening it and enabling warm air to flood into the Arctic even as colder air is displaced southward over Canada, the Western U.S. and Europe. High amplitude Jet Stream wave predicted to drive North Pole temperatures to above freezing by Sunday. Though rare during December, above freezing temperatures at the North Pole during February are practically unheard of. At the Arctic Sea Ice Forum there's much discussion about several phenomena which we took for granted, now gone away. Sea Ice in the Arctic used to be frozen solid to surrounding land in Winter. a-Team: "Certainly none on the Canadian or Alaskan side, not seeing any on the Siberian side either. The coastal ice is all in motion, even over a three month time frame in the dead of winter. No landfast ice on the Siberian side"
Landfast ice used to keep the passages between islands in the Canadian Arctic Archipelage solid. Tor Bejnar: "When fast ice no longer holds on in the Canadian Arctic Archipelago (CAA), ...that was when I started... worrying!" A-Team: "Here are 278 days of ice movement in the interior CAA channels, from May 15th to Feb 18th." "Note that surges in pack ice are already visibly transmitted to CAA interior channels. When channel back pressure has melted off, MYI export volume may well exceed both the Nares and Fram under persistent wind conditions like those of the last several weeks." The Sea Ice pack over the central Arctic Basin is so thin that wind blowing in two opposing directions has created widespread shearing. uniquorn: "GFS-nullschool next five days suggesting a full trans-polar shear as winds are tugging in opposing directions rather than setting the ice pack in rotation"
There's also astonishment over the melting in the Bering Sea between Russia and the US, and the Barent's sea north of the Bering strait. romett1: "I still can't get over the Pacific side. Here is Feb 06 - Feb 14 and Feb 16 - 18." uniquorn: "From Worldview today and last year." For those of you experiencing heavy rain in central and Eastern US, here's the connection between the anomalous stratospheric Arctic Vortex and your extreme weather. This is the current state of what used to be one vortex at 10Hpa. The green circle shows an area where the jet stream is currently pushing warmth directly north into the Arctic Ocean. The high, in its turn was fueled by a warming-driven polar vortex collapse in the Arctic which generated the intense ridge pattern that allowed it to bloom and sprawl. The Arctic is so much warmer than last year at this time. The purple line is 2017, and the red is this year. What a shock at earth nullschool. This explains a lot. Never imagined I'd see the entire Arctic subjected to a south-to north jet stream, pumping heat "up". "To have zero degrees at the North Pole in February - it's just wrong," said Amelie Meyer, a researcher of ice-ocean interactions with the Norwegian Polar Institute. The Beaufort Sea now has extra warmth in its lower salty layer. If this heat were to mix up through the fresher colder layer above, that would melt out ice in a large area of the central Arctic. If there is a BOE it won't be caused by the modest heat build up in the Beaufort sea from the Chukchi summer water injection. It will be from "Atlantification" of the Arctic.